After docking Lois at the wall in Sylvan Beach, part of the crew decided to go exploring. Peter, Tom, Molly and I headed to the park and beach. After a long day of traveling, Peter was looking forward to a swim. Arriving at the beach, we noticed that it wasn’t that deep until you got rather far out. Rather than walk out, Peter decided to just lay down instead. It was pretty funny to watch. There was an event going on that night – Bikes at the Beach. After Peter’s swimming escapades, we decided to take the long way back to the boat and check out the bikes. They were all really neat. 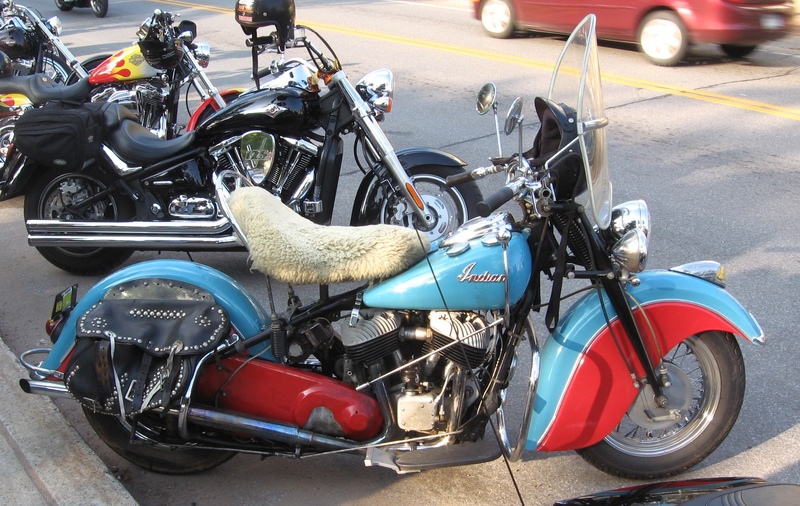 There was an awesome light blue Indian, as well as some really cool airbrushed helmets. That night I fell asleep on deck, listening to pop songs from the radio station that had a DJ setup on the park, in the middle of the bikes. For my first new port on Lois, Sylvan Beach was both interesting and exciting. A freshman at Mount Abraham Union High School, Isaac recently completed building his very own boat – a Teal design by Harold “Dynamite” Payson and Philip Bolger. He joins the crew this year for the first time.